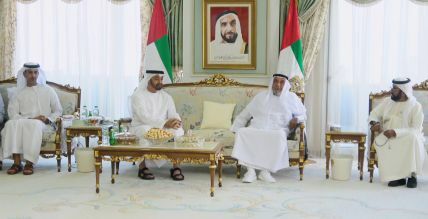 Dubai - (PanOrient News) The president of the United Arab Emirates, Shaikh Khalifa Bin Zayed , received the crown prince of Abu Dhabi, Shaikh Mohammad Bin Zayed, on Wednesday for the occasion of Eid Al Adha, a holiday celebrated by Muslims. 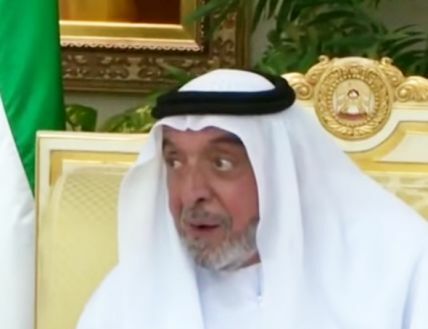 This is one of rare chance in years that photos and video have been released by the UAE national media of Sheikh Khalifa, who has been being treated for poor health. The meeting, held at the president’s residence in Evian, France, was also attended by top UAE leaders. Khalifa, 70, has been president of the UAE since Nov. 3, 2004, when he succeeded the legendary late President Zayed. He appeared to be in good spirits at the meeting, although he seems to be suffering from symptoms of his reported stroke on Jan. 24, 2014. 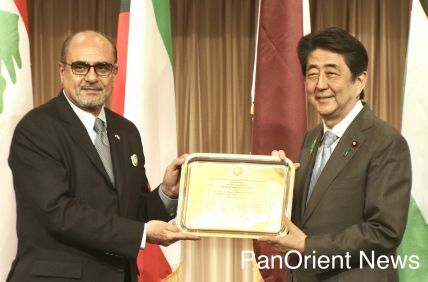 Since then, he has not been viewed publicly except for a reported short appearance on June 25 of last year receiving Eid greetings, and on Jan. 29 of this year receiving condolences on the passing of his mother. The official news about UAE President Khalifa has been tightly restricted to issuing decrees and sending congratulatory telegrams to counterparts for special occasions.